A whopping number of 13F filings filed with U.S. Securities and Exchange Commission has been processed by Insider Monkey so that individual investors can look at the overall hedge fund sentiment towards the stocks included in their watchlists. These freshly-submitted public filings disclose money managers’ equity positions as of the end of the three-month period that ended September 30, so let’s proceed with the discussion of the hedge fund sentiment on DaVita Inc (NYSE:DVA). DaVita Inc (NYSE:DVA) shareholders have witnessed an increase in hedge fund sentiment recently. 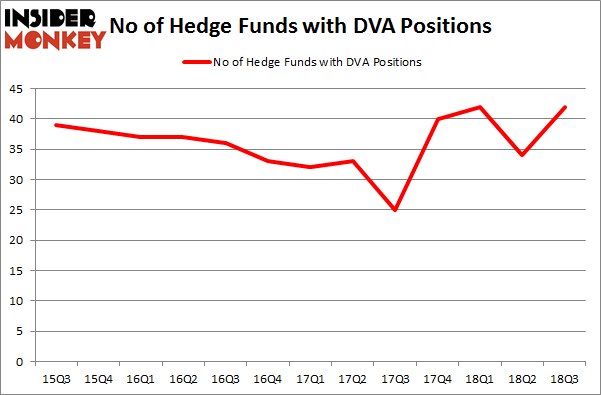 Our calculations also showed that DVA isn’t among the 30 most popular stocks among hedge funds. Let’s analyze the new hedge fund action surrounding DaVita Inc (NYSE:DVA). Heading into the fourth quarter of 2018, a total of 42 of the hedge funds tracked by Insider Monkey were bullish on this stock, a change of 24% from one quarter earlier. By comparison, 40 hedge funds held shares or bullish call options in DVA heading into this year. So, let’s examine which hedge funds were among the top holders of the stock and which hedge funds were making big moves. 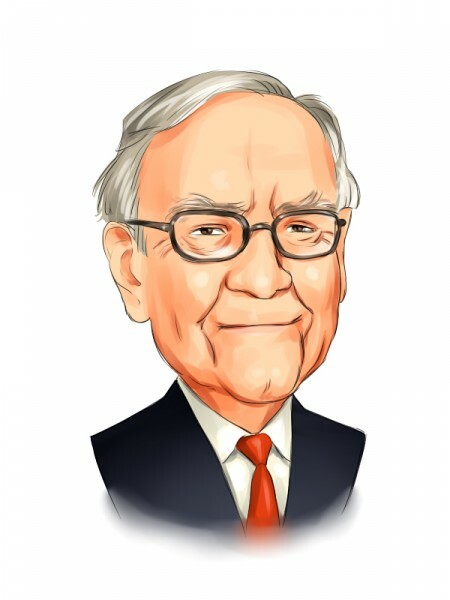 The largest stake in DaVita Inc (NYSE:DVA) was held by Berkshire Hathaway, which reported holding $2762.5 million worth of stock at the end of September. It was followed by Empyrean Capital Partners with a $171.5 million position. Other investors bullish on the company included Matrix Capital Management, Gates Capital Management, and PAR Capital Management. As one would reasonably expect, key money managers were leading the bulls’ herd. Bridgewater Associates, managed by Ray Dalio, established the largest position in DaVita Inc (NYSE:DVA). Bridgewater Associates had $13.6 million invested in the company at the end of the quarter. Joel Greenblatt’s Gotham Asset Management also made a $13.2 million investment in the stock during the quarter. The following funds were also among the new DVA investors: Israel Englander’s Millennium Management, Charles Davidson and Joseph Jacobs’s Wexford Capital, and Paul Tudor Jones’s Tudor Investment Corp.
Let’s go over hedge fund activity in other stocks similar to DaVita Inc (NYSE:DVA). These stocks are CenterPoint Energy, Inc. (NYSE:CNP), Invitation Homes Inc. (NYSE:INVH), Universal Health Services, Inc. (NYSE:UHS), and Andeavor Logistics LP (NYSE:ANDX). This group of stocks’ market values are closest to DVA’s market value. As you can see these stocks had an average of 22.75 hedge funds with bullish positions and the average amount invested in these stocks was $694 million. That figure was $4.00 billion in DVA’s case. CenterPoint Energy, Inc. (NYSE:CNP) is the most popular stock in this table. On the other hand Andeavor Logistics LP (NYSE:ANDX) is the least popular one with only 6 bullish hedge fund positions. Compared to these stocks DaVita Inc (NYSE:DVA) is more popular among hedge funds. Considering that hedge funds are fond of this stock in relation to its market cap peers, it may be a good idea to analyze it in detail and potentially include it in your portfolio.